Ever since we had the front of the house repaired, Léon has been inventing wilder and wilder fantasies about Marcel being batman. 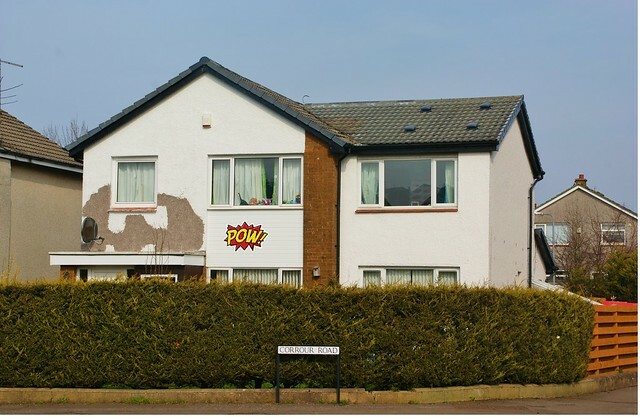 It seems a shame to spoil his fun by painting over the bat in white, so I decided a more appropriate course of action was to extend the theme onto the cladding on the front of the house. It is looking good, don't you think?